Barring breakthroughs in treatment, the number of Americans living with Alzheimer’s disease is projected to more than double by 2050, rising to 13.8 million Americans age 65 or older from 5.8 million today. 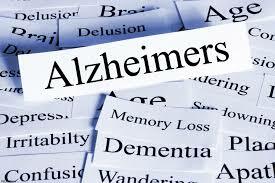 That’s according to a new report from the Alzheimer’s Association released Tuesday. Here’s a closer look at why medical experts are expecting a spike in Alzheimer’s, what we know about associated health costs and what’s next for research and treatment.